Have you read The Secret? I'll admit I've only skimmed parts of the bestselling book, but I immediately gravitated toward the concept. Since I was a kid, I've always grown up with the idea that if you can dream it, you can live it. So far, that philosophy has gotten me where I am today. Sure, there have been some dreams that didn't come true, but the ones that really mattered are the ones I keep finding a way to live out. One of my biggest dreams that came to me later in life was having a book published. Another is owning a log cabin in Maine where I could quietly write like Stephen King with Bambi outside a snow-frosted window. With regards to the first, getting a book published has perhaps been one of my biggest dreams to date and getting there required all of the following. 1) Patience - I'm an impatient person. 2) Hard Work - I've been known to procrastinate heavily. 3) Good friends who wanted the dream for me, too. 4) Believing that dreams do come true. we hope will one day become a reality. As for that house in Maine? I'm getting closer to getting that down payment together. I can still see Bambi just outside my window. Perhaps there is even a mug of hot cocoa on my wooden desk. My daughter is outside in her snowsuit with Daddy, feeding Bambi oatmeal out of the palm of her mittened hand. Who knows? But at least I can dream, and that's over half the battle. 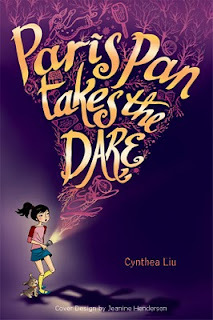 Cynthea Liu is author of PARIS PAN TAKES THE DARE (Putnam), a humorous mystery novel for girls and boys (grades 4-7). Her novel THE GREAT CALL OF CHINA (grades 7-12) is part of Speak’s bestselling S.A.S.S. series. Cynthea also has authored WRITING FOR CHILDREN AND TEENS: A CRASH COURSE, available in paperback. Her forthcoming teen novel WHAT I DIDN'T TELL YOU will be published by Putnam in 2011. Based in Chicago, Cynthea has spoken for a number of schools in Illinois and across the country. 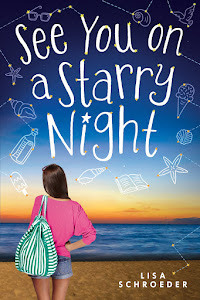 She is also a frequent guest author for American Library Association, American Association of School Librarians, Illinois School Media Library Association. 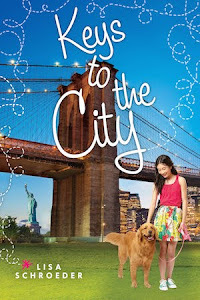 Cynthea is also the founder of AuthorsNow, the Internet's largest collaboration of children's and teen book debut authors in the U.S. and the woman behind the popular website www.WritingforChildrenandTeens.com. Thank you for this Lisa and Cynthea. I always think it's such a shame to lose the whole dream big attitude that came so naturally to us when we were younger. This is a wonderful reminder that just because we are adults, doesn't mean we can't fulfill our biggest dreams. And a writing cabin in Maine? I might have to poach your dream and make it mine! I totally agree, except, I'd rather have a writing cabin in Michigan, further away from the Blair Witch. "Sight has to do with what we can see. Vision has to do with what we can be." May all YOUR dreams come true, Cynthea!! !